Enjoy the sound of the stream from the gazebo, or test your luck and toss in a line. This beautiful mountain home overlooks West Creek and features easy access to the National Forest. 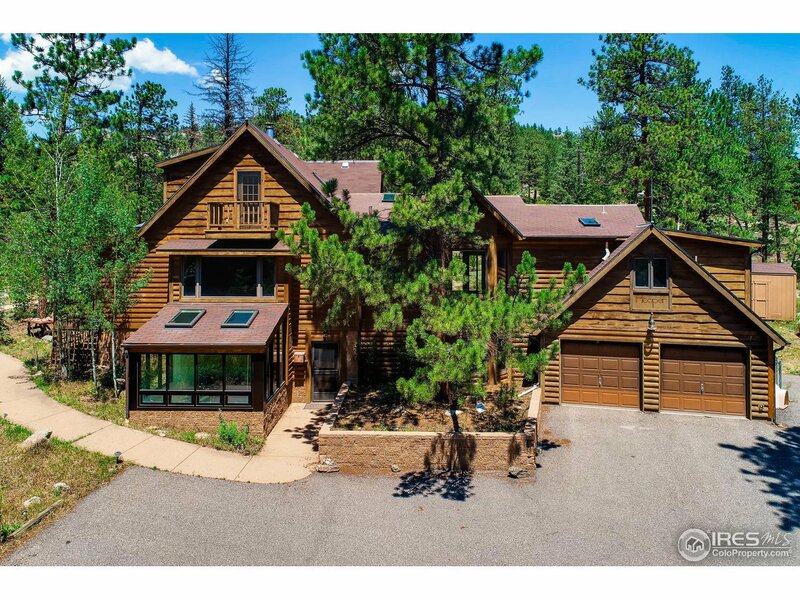 Less than a 6 mile drive from Estes Park, this home is located just past the switch backs as you drive to Glen Haven and features stunning living spaces, both inside and out. Enjoy the hot tub on a cool evening after a hike, snuggle up in the master suite, or take in the views from the four-seasons room.